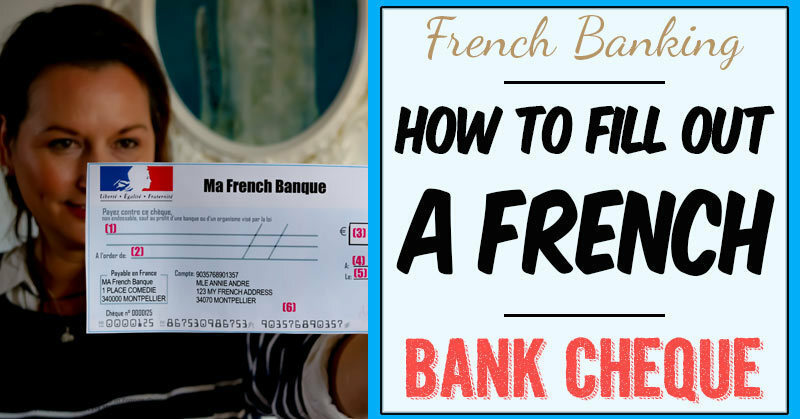 It doesn’t take a genius to write a cheque in French from your French bank account however, they’re designed a little differently than you’re probably used to and there are a few nuances you need to understand in order to properly fill one out. Despite the popularity of debit cards, credit cards and electronic payments like PayPal, it’s still quite normal to see someone in France whip out their chequebook to pay for things like groceries, particularly in the countryside and amongst the elderly. France accounts for over half of all cheques written in the entire EU. According to the Bank of France, 7 out of every 10 cheques written in 2017 in the European Union were written in France. Even if you don’t think you’ll use cheques, there are certain situations where you may not have a choice. Here are a few situations where I personally had no choice but to write a check in France. Deposit for children’s annual sports memberships (paid to associations). 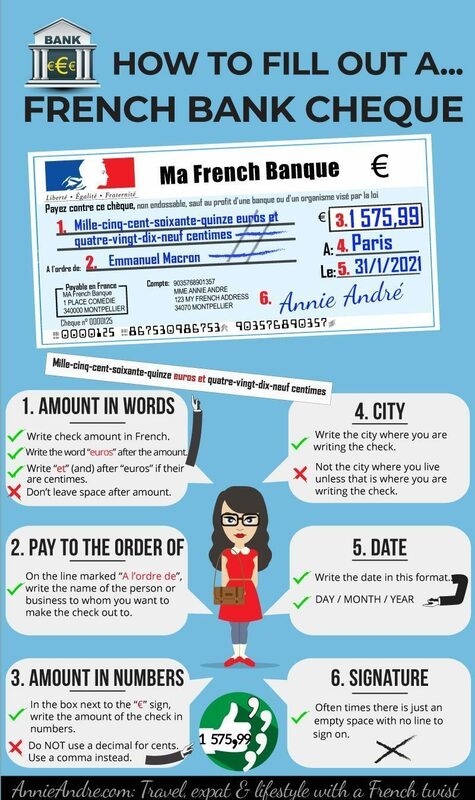 Here are the instruction on how to fill out the six areas of a French bank cheque. You can also study the infographic below. Or you can read the instructions below the infographic. 1. 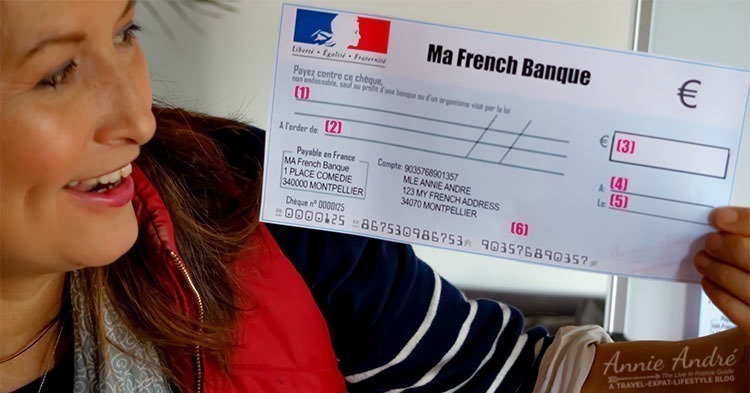 Write the amount of the cheque in words in French. Payez contre ce chèque: = Pay against this cheque. The first two lines on a French bank cheque are reserved for the amount of the cheque which you must write out in words. And you must write the amount out in French. If you don’t speak French or you don’t know how to spell French numbers, this could be a problem because you cannot write out the amount in English or any other language for that matter. There are some solutions. You could ask the person to whom you are giving the cheque to fill out the amount for you. Or you could carry around a cheat sheet of French numbers written out in words. a) Mille-cinq-cent-soixante-quinze euros et quatre-vingt-dix-neuf centimes. You can also write the centimes (cents) out as numbers rather than words as indicated in example (b) below. **Write the word “et” between the euros and centimes which means “and”. **If there is any empty space leftover at the end, draw a line through it. On the line marked “A l’ordre de,” write the name of the person or business to whom you want to make the cheque out to. In the box next to the € sign, write the amount of the cheque in numbers. Make sure it matches the amount you wrote out in words in step one. **Do not use a decimal for the cents. In France, a comma is used instead. The wording for this area will vary by bank but in general,l you’ll see the words “Fait à” or just “A” on the write hand side of the cheque. This line is reserved for the name of the city where you are writing the cheque. For instance, if you live in Marseille and write a check in Paris, you would write Paris on the cheque, NOT Marseille. On the right-hand side of the cheque, next to the line marked “Le”, write the date. Make sure you use the format Day/Month/Year. In the bottom right-hand corner is where you sign your cheque. Often there is nothing to indicate that this is where you sign—no line, nothing, just wide a wide open space. Sign anyways otherwise your cheque can’t be cashed. Below is an example of a cheque written out to the French president, Emmanuel Macron in the amount of “one-thousand-seventy-five euros and nintety-nine centimes in Paris on the 31st of January, 2021. This is not a real check and the account numbers are made up.